Microsoft Powerpoint and its counterparts are spoken of in hushed whispers among graphic designers. Nothing springs to mind terrible design quite like the thought of your average Powerpoint presentation. When I was growing up, I had a computer class in which we learned to make presentations and slideshows. Of course the entire class of ten-year-olds, including myself, then proceeded to cram every text effect and animation imaginable into our presentations. Being rather shy, I then wrote every scrap of information out across every slide so all I had to do was stand at the front of the class and read. Now, this of course was rather inconsequential, since my only goal was to get a passing grade. The scary thing is, many professionals with much loftier goals, approach very important presentations in the same way. A presentation deck becomes their script, an incomprehensible web of graphs, or a collection of default effects they throw in because it makes the process of building a presentation a little more entertaining. Keep it simple. 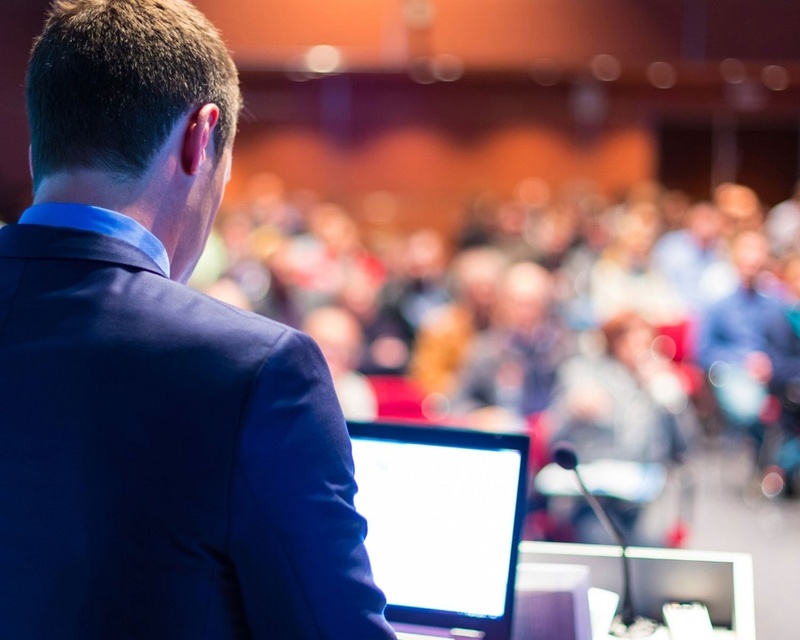 It’s your job as a presenter to present information in a clear and concise way. No doubt you’re an expert in the subject you’re speaking about, so take the time to boil it down to its key points. Your audience is there to see you, so don’t distract them with excessive text and complex graphs. Use your presentation deck to emphasize what you’re talking about and clarify things that cannot be easily explained. Break the monotony. You can’t bring some life to a boring speech with wild animations and vivid text effects. You can, however, break the monotony with a few quality images, videos or well thought out (and simple) graphs. The slideshow format also provides a great way to deliver a punchline, so get creative. Your presentation deck is not your safety net. Speaking in public is not an easy thing to do for most people. You get nervous, you forget things, you lose track of what comes next. It’s easy to think of your slideshow as your fallback. The truth is, your presentation deck is not for you, it’s for your audience. If you need a safety net, bring notes. If your slides contain every bit of information you’re speaking about, you may as well stand aside and let everyone read it. Less is more when it comes to words on the screen. Just remember these simple guidelines and you’ll look professional, knowledgeable, and confident in your future presentations. It takes a lot of time and effort to perfect a presentation deck, but with all eyes on you, there’s no better time to show off your abilities.